I'm not afraid of dying, Liv. I'm afraid of remembering. Find a guinea pig who wants to remember his old life. 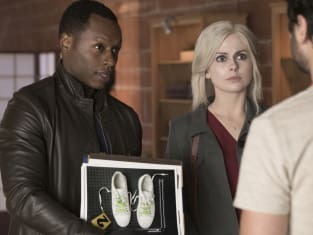 iZombie Season 3 Episode 3: "Eat, Pray, Liv"
Ladybird: He died doing what he loved. Peyton: How'd you even land this gig? Blaine: Oh the last guy died up there. Literally. Permalink: Oh the last guy died up there. Literally. iZombie Round Table: Did The Love Triangle Just Become A Love Square?